Are You A Paddle Or An Anchor? 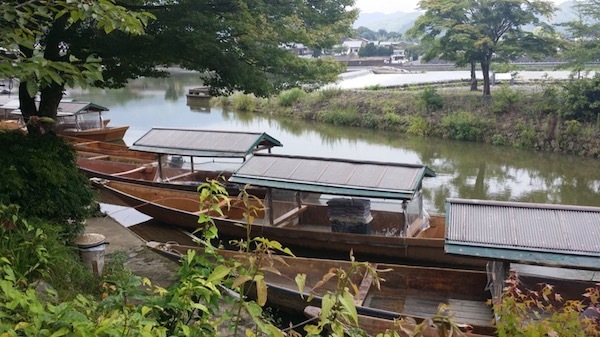 Your Karatedo or Budo life is similar to that of a boat on the open water. The boat floats across the water moving across the sea or down the river. On the sea it may encounter calm weather or turbulent waves. On the river the going might be smooth or you might hit rapids or rocks. On every boat there is a Captain and that position is similar to the position of the Sensei. The Captain tries to steer the boat across the sea or down the river as safely as possible so that his crew may arrive at their destination without harm. The crew listens to the experience of the Captain who typically has many years of service behind him. Similarly, the Sensei in the dojo tries to instruct his students so that they may arrive farther down the way of development without too much harm. The students recognizing the experience of the Sensei act diligently in following his orders. However, in this boat of life we have some who act more as an anchor on the boat than that of an oarsman. In order to have the boat arrive at its destination the Captain must rely on all to contribute to the good functioning of the ship. Similarly, in order to provide the lessons within the dojo the Sensei must rely on all students to contribute to the proper functioning of the dojo. Knowing that we are a member of this ship we know implicitly whether or not we are contributing or detracting from the well-fair of the crew. We know whether we are adding value or if we require undue attention. Requiring undue attention means that we take extra resources away from the mission of the ship and from our shipmates. It ends up being self-serving and selfish behavior. We act as an anchor dragging and slowing down the ship. Though the above example of a lazy crew member in a boat or ship is easily understood by everyone, it seems that many students come to the dojo and are happy to be an anchor. They show up with lazy intent. They do not listen to the Sensei. They fool around and are not attentive to the lessons of the day. Moreover, they do not contribute in a positive fashion to moving everyone forward in the dojo. The student acts as an anchor and drag on the mission of the dojo. What every ship, and every dojo, requires is for everyone to be contributing and moving the group forward. Each member of the ship or dojo should be an active oarsman putting needed strength behind the levers that help to move the dojo forward through collective energy. So it is important to look at your effort and to see honestly if you are contributing or if your are detracting from the mission. Are you a paddle adding extra energy or are you an anchor dragging down the forward momentum. 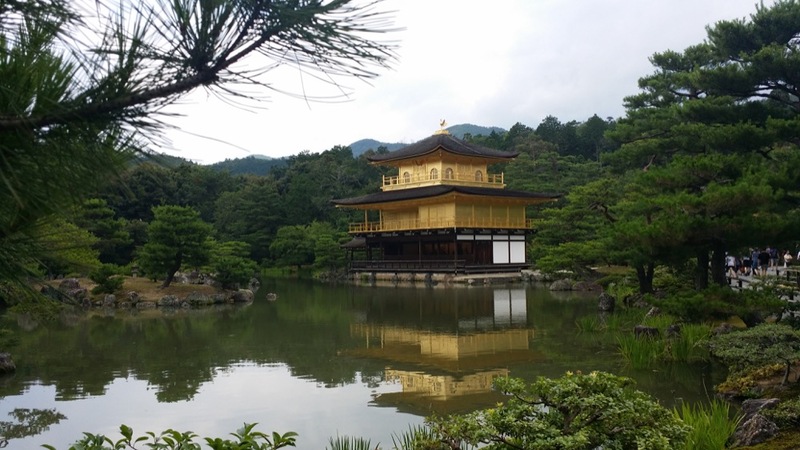 It is important for every member of the dojo to understand that similar to the environment of a ship a lazy member not only provides little effort they actually take energy away from the crew, the same as if there was an anchor dragging behind the boat. In the boat of life do not be an anchor. Choose to be a paddle: a strong oarsman who adds value with your effort. Move your shipmates forward. Add benefit to your Captain. If you focus on this basic principle your voyage in the martial arts will see more calm waters than turbulent seas. 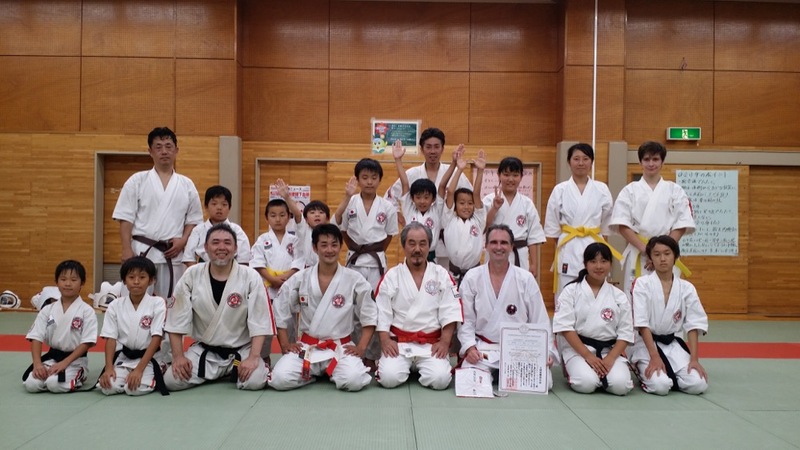 Shihan Dr. Henderson was recently awarded 5th Dan, Kengo, in Shorinjiryu Kenkokan Karatedo by Hanshi Hisataka along with the Koshiki Teaching License by Shihan Masamitsu Kudaka. 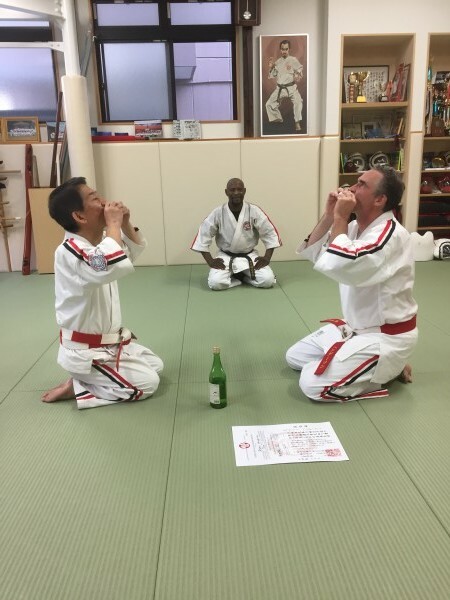 Shihan Henderson wishes to give special thanks to Hanshi Hisataka and Shihan Masamitsu Kudaka for all their help in his training and continual progress. Also, a very special thank you to Shihan Paul Jackman for his continued support of Dr. Henderson’s efforts. 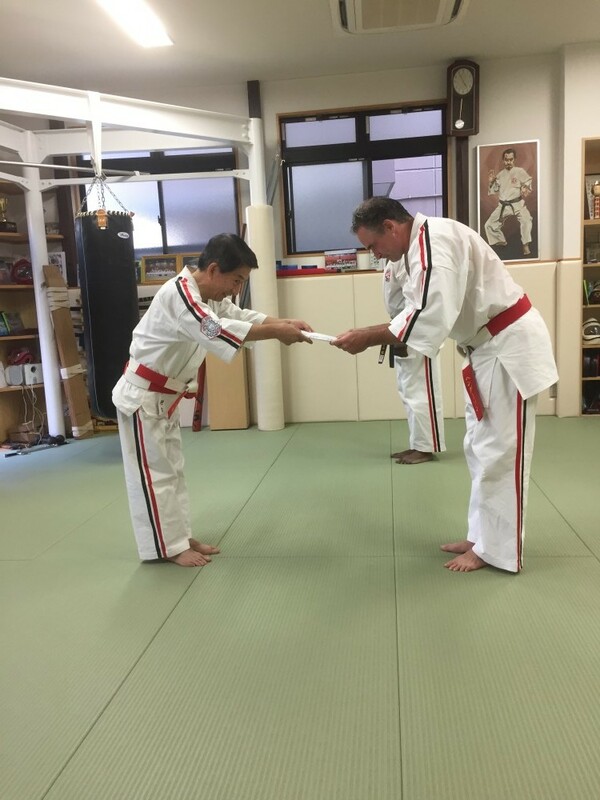 The videos below show Hanshi Masayuki Hisataka (Kudaka) and Shihan Masamitsu Kudaka presenting Shihan Dr. Henderson at the Hombu dojo in Tokyo, Japan. 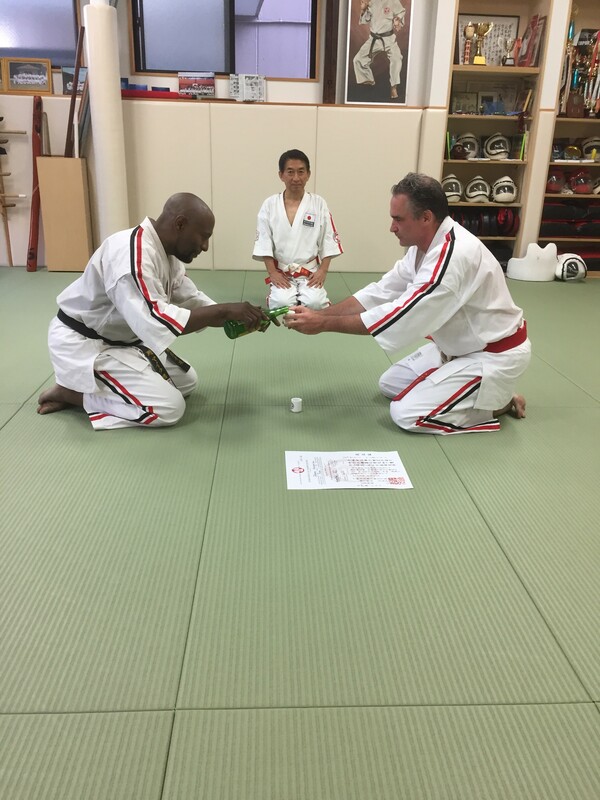 Shihan Namekata, Chairman of the Board of Examiners, presents Dr. Henderson with the Go-dan certificate. 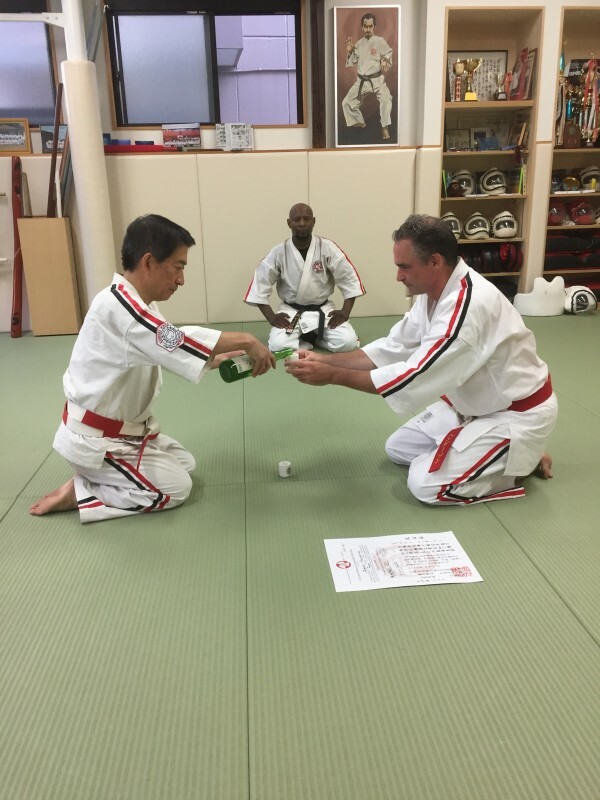 Shihan Namekata prepares the Sake ! Sensei Michael Coleman Participates In The Celebration ! The video below is a nice reminder that we all must not take our own personal safety for granted. Our grandparents knew this as well. 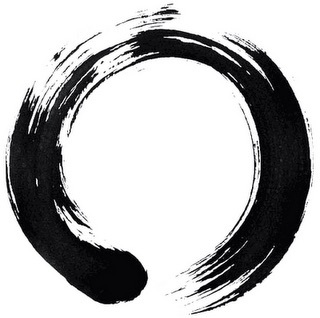 Keep in mind that when you practice your martial arts you are following in a long line of people who share(d) the same thoughts and feelings. An interesting video by the BBC and Discovery Canada discussing the important aspects of sword polishing and the years it takes to master the art. 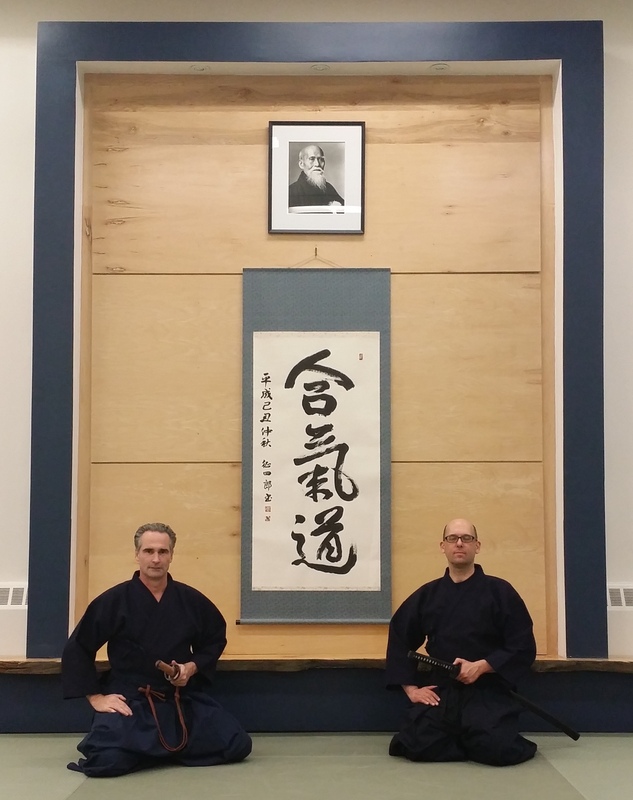 Shihan Henderson recently visited Sempai Mikhael Bornstein the weekend of December 4th, 2015 at the Naka Ima Aikido dojo in Toronto for Dai Kuu Ryu training. Two days of training covered basic sword technique, Iaido and Itto training. The time was well spent and passed quickly. 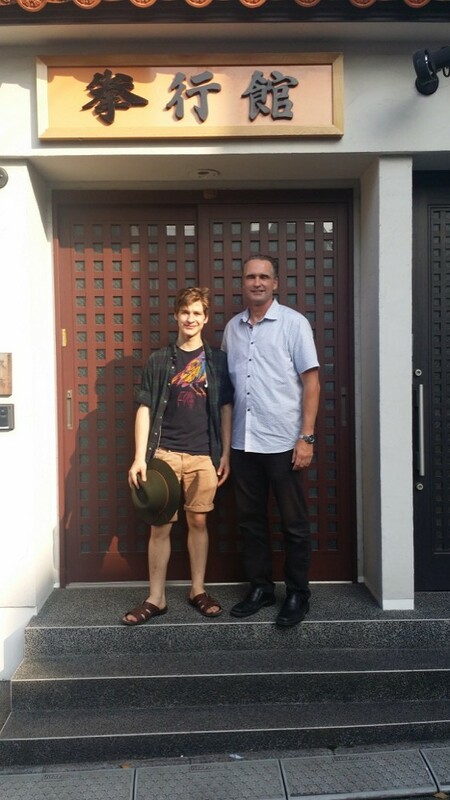 Shihan Henderson looks forward to returning soon to continue training with Sempai Bornstein. An interesting interview concerning Budo with Sensei Tetsutaka Sugawara from Katori Shinto Ryu. He was born in Hokkaido in 1941. 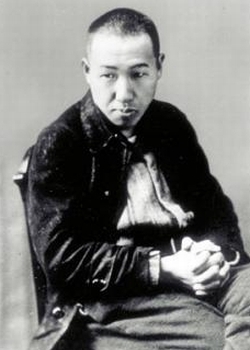 In 1960, he began Aikido at the Hombu Dojo, Tokyo, under O-Sensei Morihei Ueshiba, founder of Aikido. 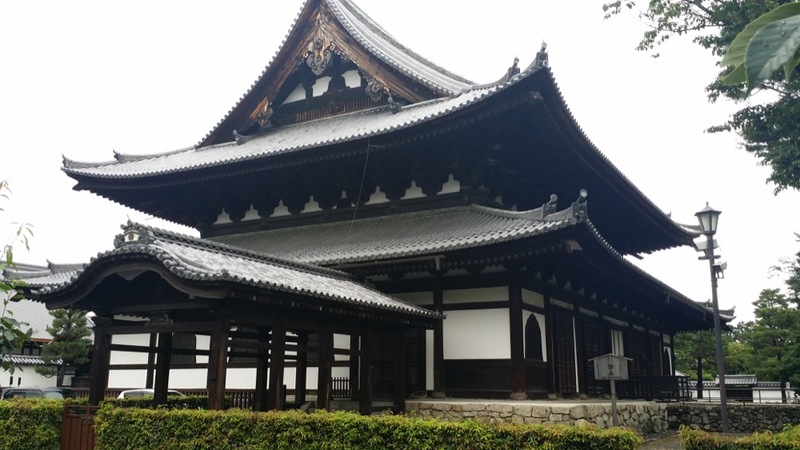 In 1961, he became uchideshi under O-Sensei at the Ibaraki Dojo. In 1964, he returned to Tokyo and entered Chuo University. 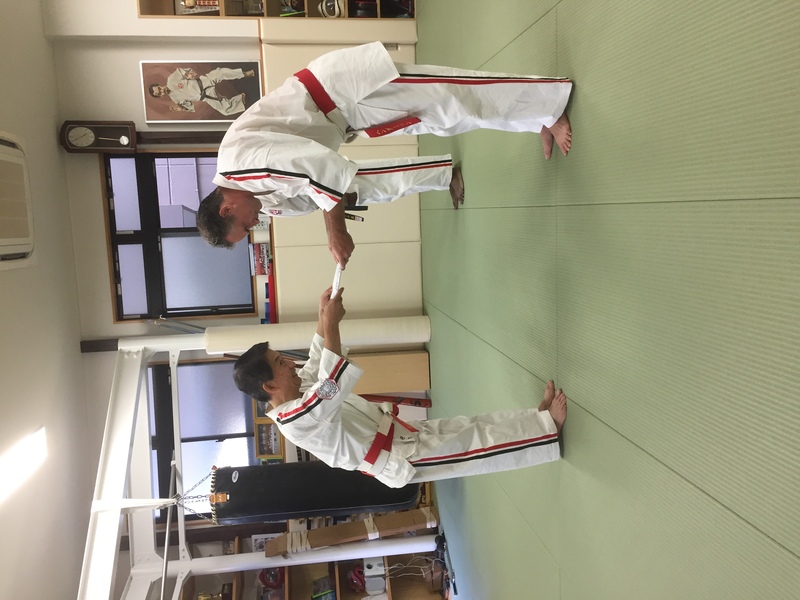 In 1973, he established Minato Research and Publishing Co. (currently Sugawara Martial Arts Institute, Inc.) In 1975, he entered the Tenshin Shoden Katori Shinto Ryu receiving the ‘kyoshi’ instructor’s license in 1986. April 1992, introduced Aikido to Shanghai Institute of Physical Education, Beijing University of Medical Science. November 1992, received Kyoshi-license of Okinawan Goju-ryu Karatedo by Yasuichi Miyagi. June 1993, introduced Aikido to Wuhan Institute of Physical Education, Fujian University of Traditional Chinese Medical Science in China. May 1995, received Aikido 7th Dan by Kisshomaru Ueshiba. 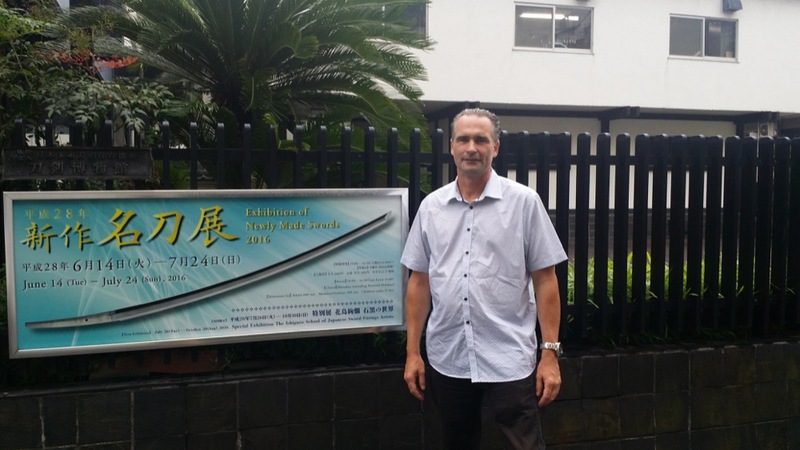 Introduced Aikido to Chengdu Institute of Physical Education in China. Received the Lecturer’s License of Shanghai Institute of P.E. He is currently visiting 12 countries teaching Aikido and Katori Shinto Ryu.